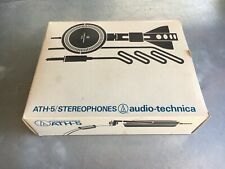 Vintage Audio-Technica ATH-5 Headphones In Original Box Nice. Condition is Used. Shipped with USPS Priority Mail. 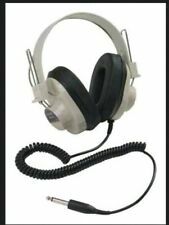 New ListingPIONEER SE-205 Stereo Headphones TESTED WORKING Vintage 70's Old School 1/4"
PIONEER STEREO HEADPHONES. Fully tested and working (see notes above in "Item Specifics"). (no handling fee). 4 out of 5 stars - PIONEER SE-205 Stereo Headphones TESTED WORKING Vintage 70's Old School 1/4"
21 product ratings21 product ratings - PIONEER SE-205 Stereo Headphones TESTED WORKING Vintage 70's Old School 1/4"
Trending at $20.85eBay determines this price through a machine learned model of the product's sale prices within the last 90 days. Treat us with similar honesty, courtesy, and respect. Not Happy?. Works great, sounds good in both ears. See pics for detailed photos. Inside on one ear pad is torn (see pics). 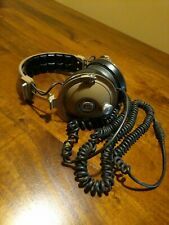 Vintage Koss Pro - 4A Professional Headphones Clean Working. Condition is Used. Shipped with USPS Priority Mail. 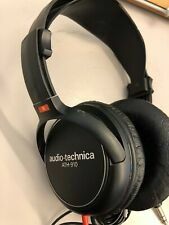 Used headphone in good shape as pictured. Trending at $23.38eBay determines this price through a machine learned model of the product's sale prices within the last 90 days. 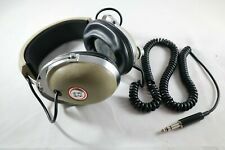 Koss PRO/4AAA Vintage Headphones. One owner since new. In fairly good condition, in need of cleaning. Right channel works great, but left channel does not work. Shipping to US only unless bidding is pre-authorized. Thanks for looking and happy bidding! 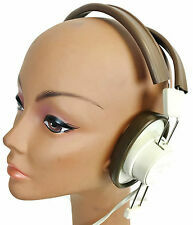 New ListingVintage Realistic Nova 16 Stereo 8 Ohm Headphones Dual Volume Tested. The box says 2 Way Stereo Headphone Cross Field Network Inc.
Units are new never been used school surplus. 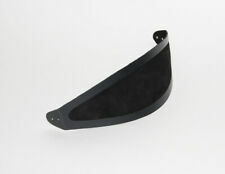 Adjustable head band,large cushioned ear pieces in very good condition. Headphones are in very good condition. Tested and works. They wear heavier than modern headphones - note the weight listed. Vintage SENNHEISER HD 420 Headphones / Black & Tan. For Home stereo receiver – iPod – cassette player Condition is Used. Shipped with USPS Priority Mail. 78" of cord and adjustable head band. Condition is Used. Year: 1969. One issue - The left (or right, depends on how you wear them) slider is missing a nut and it allows the cup to slide down freely. 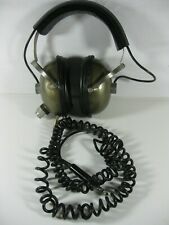 Vintage Optimus Titanium Diaphragm Stereo Headphones Amazing Sound! W Box. Condition is Used. Shipped with USPS First Class Package. Awesome ! Box is shelf worn. From a non smoking home. Very light. Cord Length: 310cm. Specs from the web (1.4 lbs.). Weight: 160g. Both drivers in good working order. Impedance: 100Ω. Fully tested – great condition. Test working- There is a small rip on the foam but does not affect the sound. Vintage SONY MDR-W07 Yellow Sport Lightweight Headphones Tested! Vintage Realistic Nova 40 Stereo Headphones Tested. Condition is Used. Tested and working clean set. 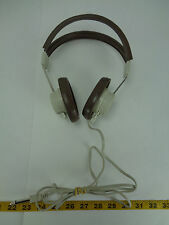 Panasonic RP-HTX7 Headphones Cream color vintage audiophile Japan . Condition is Used. Working clean headphones. Bidders with less than 0 feedback bids will be cancelled. Payment due within 3 days of auction end. All sales final. No returns. Thank you. These head phones are in good working condition. For how old these are they are in decent condition to be put on and used. These headphones are not very good at producing low tones. Pioneer Stereo Headphones - 1/4" jack. Model SE-50 - 2 Way Stereo Headphones with case. Trending at $39.88eBay determines this price through a machine learned model of the product's sale prices within the last 90 days. Headphones are in good used condition. Condition Used: Untested. SE-30A 8 Ohm. RARE VINTAGE PANASONIC PROFESSIONAL HEADPHONES EAH-500 - Best Offer. Condition is Used. Shipped with USPS Priority Mail. Headphones are in good shape and sound great! Headphones are in decent shape, as you can see in the photos, the wire cover is slightly frayed but the headphones work and they're just a little dusty! Realistic NOVA 40 headphones! Still has instructions, and plastic bag inside. Appear to be new in box. Sorry, no exceptions. This way everyone is covered. Includes the headphones only. they work and sound great. only issue is the earpads. They have heavy wear on them. model are ah d700. 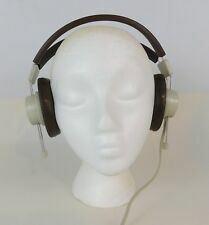 Vintage Realistic Nova 16 Stereo 8 Ohm Headphones Dual Volume Tested.